JCPenney $10 Off $25! In Store Or Online! $15 Puffer Jackets & Women's Booties! You are here: Home / Great Deals / JCPenney $10 Off $25! In Store Or Online! $15 Puffer Jackets & Women’s Booties! JCPenney $10 Off $25! In Store Or Online! 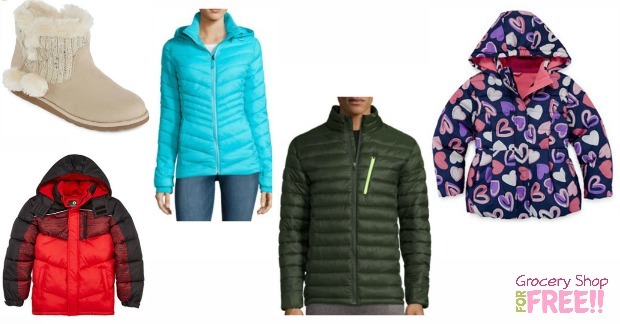 $15 Puffer Jackets & Women’s Booties! JCPenney is having a great sale going on now through the 29th of October! You can shop online using code: HURRY39 and have it shipped to the store for FREE! PLUS if you shop online, you can get 25% off when you use code: BIGSALE – this code will also give you 30% off $100 purchase*! Or you can print a $10 off $25 coupon to shop in store! These Puffer Jackets and Women’s Arizona Booties are just $15 with this sale and code and you can have them shipped to the store for FREE!